During the summer I am far more interested in healthy glowing skin than makeup, and in fact I wear the most minimal makeup during the warm months of the year. I delight in using healthy skincare products to pamper my skin, and treat myself to as many at-home spa days as possible, but given that I work long hours at work, I often end up taking short cuts by using fuss-free products that get to work while I sleep, as is the case with two of the products that I am featuring here. My overriding concern during the summer is to protect and treat my skin. Therefore, in addition to slathering myself with high SPF sunscreens, I also apply lots of moisturizing and hydrating treatments from head to toe. Here are a few of my current favorite moisturizers for the face and body from KORRES. 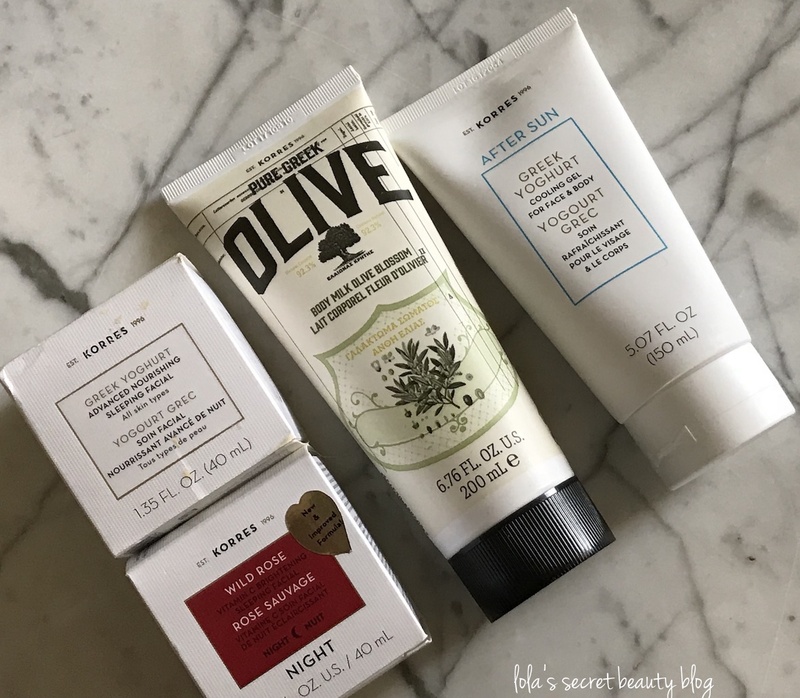 I love using nighttime skincare treatments, and I am partial to products that are filled with actives that work hard while I sleep. Since skin cell regeneration occurs more rapidly at night while we sleep, it is the optimal time to use actives that enhance this natural process. 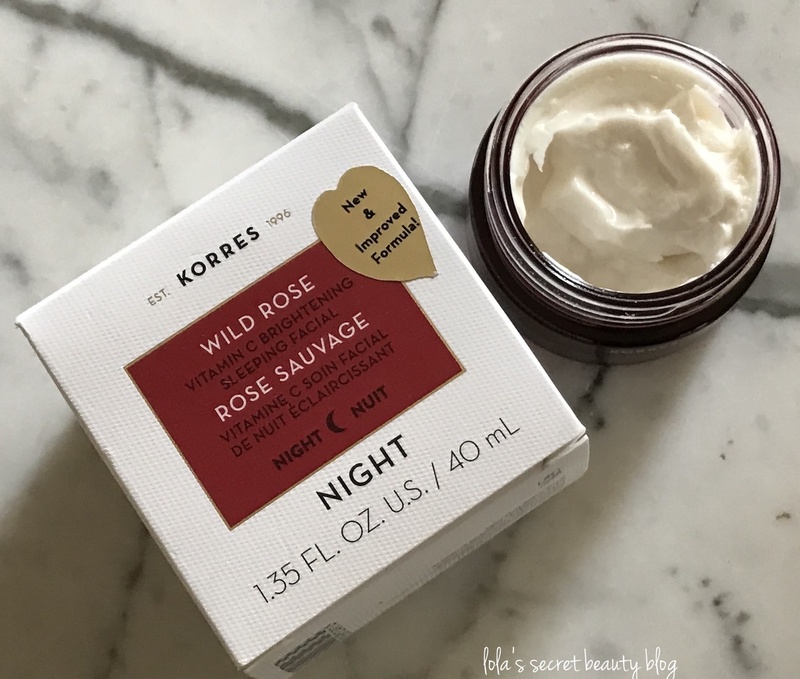 This is precisely why I was interested in testing the KORRES Wild Rose Advanced Brightening Sleeping Facial ($48.00 for 1.35 oz from Korres, Dermstore, Macy's and Sephora): "an overnight facial-in-a-jar" that claims to be "more than a mask, more than a night cream." This cream, which is formulated for all skin types, contains a proprietary blend of ingredients including brightening agents that even skin tone, lighten dark spots (hyperpigmentation), restore luminosity and improve firmness. This mask can be used alone as a night cream, or it can be used in conjunction with your favorite serums and creams. I like to use it alone, but if you want to use it with your other nighttime products, then be sure to use it after your serum and cream as your final step. 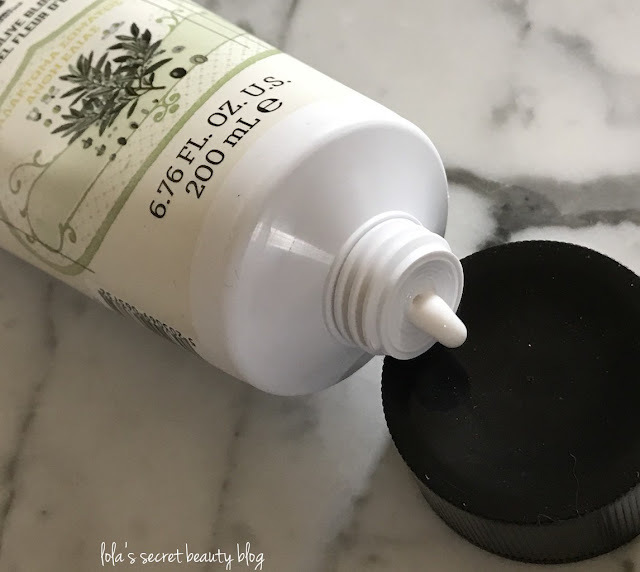 It has a delightful lightweight whipped texture that melts into the skin, but it is concentrated– so I recommend taking a less-is-more approach. I would be remiss if I did not tell you that it has a delectable, light rose aroma, but it does fade soon upon application. One immediately notices a surge of moisture, and that skin feels comfortable, but the real benefits are seen the following morning when you awaken to bright and luminous skin. There is a pronounced clarity and radiance that is evident after only a single use, but regular use over a sustained period of time results in evening skin tone and the lightening of hyperpigmentation. This overnight Wild Rose facial-in-a-jar is a breakthrough in beauty sleep. More than a mask, more than a night cream, it contains a generous dose of wild rose oil, boosted with super C for powerful brightening and antiaging. At the same time, imperata cylindrica extract time releases moisture throughout the night for continuous hydration. This product's weightless, whipped texture melts instantly into skin and works while you sleep to re-texturize and address visible signs of premature aging. Day after day, week after week, uneven tone and dark spots will continuously improve. In as little as 14 days you'll see skin that's brighter, more even-toned, and exceptionally radiant. Wild Rose Oil: Evens skintone and repairs fine lines; moisturizes, heals, and softens skin while forming a protective layer to improve its texture. Super C: A stabilized fat soluble vitamin C with 10 times higher vitamin C absorption for powerful brightening, natural collagen synthesis, and antioxidant protection. Imperata Cylindrica Root Extract: Provides continuous moisturization by regulating the moisture equilibrium of the skin. Rose Water 15%: Provides weightless hydration. Ingredients:Water, Glycerin, Glyceryl Stearate Citrate, Dicaprylyl Carbonate, Alcohol Denat., Triheptanoin, Behenyl Alcohol, Glyceryl Stearate, Aloe Barbadensis Leaf Juice, Isodecyl Neopentanoate, Simmondsia Chinensis (Jojoba) Seed Oil, Cera Alba/Beeswax/Cire D'abeille, Lecithin, Imperata Cylindrica Root Extract, Acacia Decurrens/Jojoba/Sunflower Seed Wax/Polyglyceryl-3 Esters, Acrylates/C10-30 Alkyl Acrylate Crosspolymer, Alpha-Isomethyl Ionone, Ascorbyl Tetraisopalmitate, Benzyl Alcohol, Benzyl Benzoate, Benzyl Salicylate, Butylphenyl Methylpropional, Caprylyl Glycol, Carbomer, Cetearyl Alcohol, Citronellol, Distarch Phosphate, Eugenol, Fragrance, Galactoarabinan, Geraniol, Glycine Soja (Soybean) Oil, Glycine Soja (Soybean) Sterols, Hexyl Cinnamal, Hydrolyzed Sodium Hyaluronate, Hydroxyethyl Acrylate/Sodium Acryloyldimethyl Taurate Copolymer, Hydroxyisohexyl 3-Cyclohexene Carboxaldehyde, Phenoxyethanol, Rosa Canina Fruit Extract, Rosa Canina Fruit Oil, Rosa Rubiginosa Seed Oil, Rosmarinus Officinalis (Rosemary) Leaf Extract, Sodium Gluceptate, Sodium Hydroxide, Tetrahydrodiferuloylmethane, Tocopheryl Acetate, Xanthan Gum. No Parabens, Sulfates or Phthalates. Directions: After nighttime cleansing ritual, apply to the face and neck, avoiding the eye area. Do not rinse. If using with other products, apply after your treatment/ serum and prior to your night cream. Avoid direct contact with eyes. 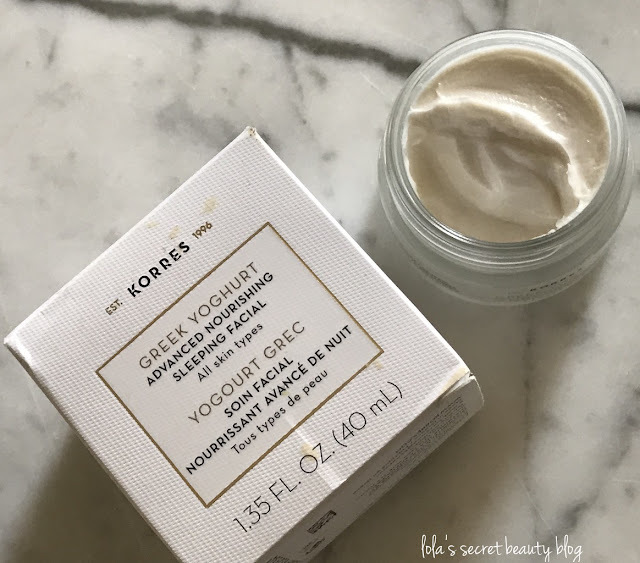 KORRES Greek Yoghurt Advanced Nourishing Sleeping Facial ($45.00 for 1.35 oz. 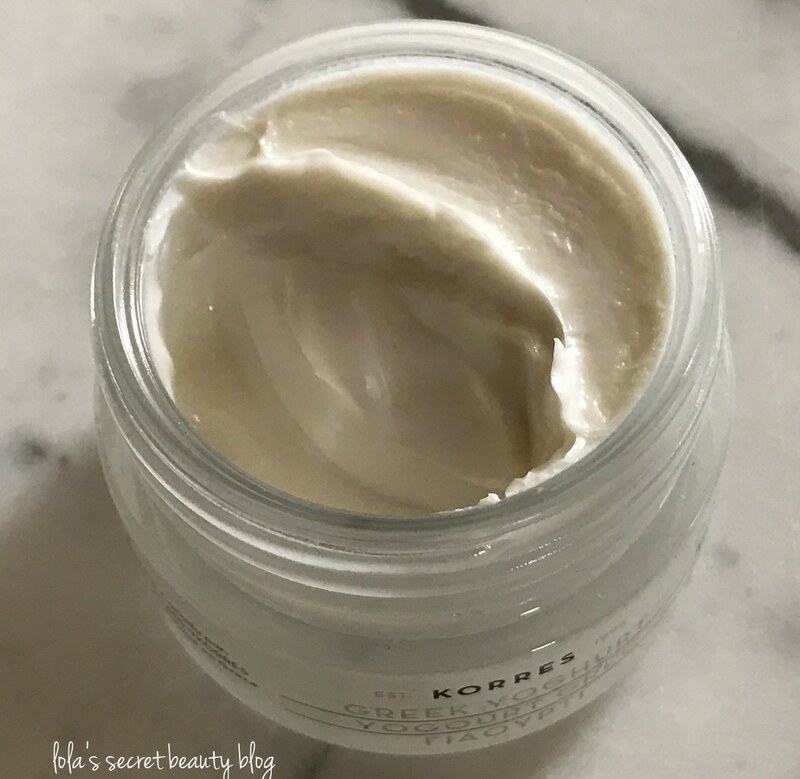 from Korres, Macy's, Dermstore, Neiman Marcus, b.glowing and Sephora): This is a lightweight and fast absorbing soufflé that can either be used alone or paired with a richer night cream for people with drier skin. This overnight treatment offers the skin deep hydration, and it leaves the skin soft, smooth and supple. I love to pair it with a beauty oil, and when I awaken the next morning my skin is beautifully radiant, and my fine lines are softened. A weightless soufflé powered by super-charged proteins that melts into skin and works overnight for intense, immediate moisturization. A centuries-old Greek remedy for skin soothing, moisturizing Greek Yoghurt provides a natural source of proteins, minerals, and vitamins to instantly nourish stressed, dry skin. This ultrahydrating facial-in-a-jar contains a Greek Yoghurt concentrate with two and a half times the protein content of regular yogurt, and works overnight to provide skin with intense, long-term moisturization and nourishment to create a smooth, even complexion. You will wake up to noticeable improvements in skin texture and more moisturized, refreshed skin. Ingredients: Water, Glycerin, Glyceryl Stearate Citrate, Dicaprylyl Carbonate, Alcohol Denat., Triheptanoin, Behenyl Alcohol, Glyceryl Stearate, Aloe Barbadensis Leaf Juice, Isodecyl Neopentanoate, Simmondsia Chinensis (Jojoba) Seed Oil, Cera Alba/Beeswax/Cire D'abeille, Lecithin, Imperata Cylindrica Root Extract, Acacia Decurrens/Jojoba/Sunflower Seed Wax/Polyglyceryl-3 Esters, Acrylates/C10-30 Alkyl Acrylate Crosspolymer, Alpha-Isomethyl Ionone, Amyl Cinnamal, Ascorbyl Tetraisopalmitate, Benzyl Salicylate, Caprylyl Glycol, Carbomer, Cetearyl Alcohol, Coumarin, Distarch Phosphate, Fragrance, Galactoarabinan, Geraniol, Glycine Soja (Soybean) Oil, Glycine Soja (Soybean) Sterols, Hydrolyzed Sodium Hyaluronate, Hydroxycitronellal, Hydroxyethyl Acrylate/Sodium Acryloyldimethyl Taurate Copolymer, Hydroxyisohexyl 3 Cyclohexene Carboxaldehyde, Isoeugenol, Linalool, Phenoxyethanol, Rosmarinus Officinalis (Rosemary) Leaf Extract, Sodium Hydroxide, Tetrahydrodiferuloylmethane, Tetrasodium Glutamate Diacetate, Tocopheryl Acetate, Xanthan Gum, Yogurt Powder. Made without: Parabens, Sulfates and Phthalates. KORRES After Sun Greek Yoghurt Cooling Gel ($26.00 for 5.07 oz. 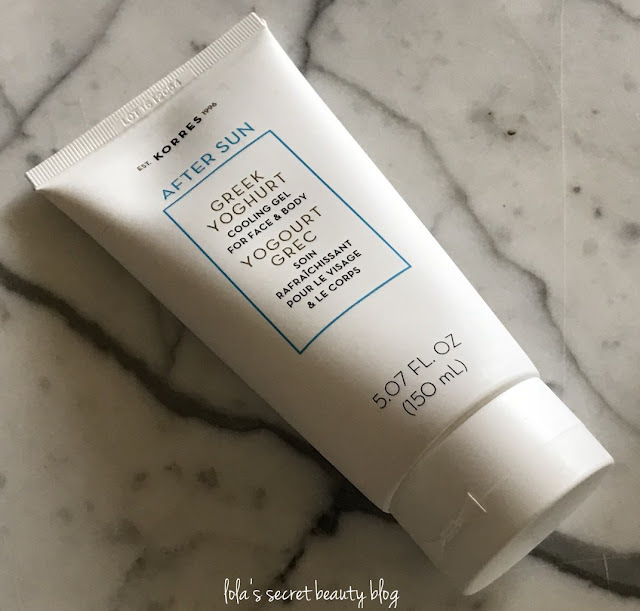 from Korres, Macy's, Dermstore, Sephora and Skin Store): This lightweight, and fast absorbing, moisturizing gel cools and hydrates the face and body after exposure to the elements. 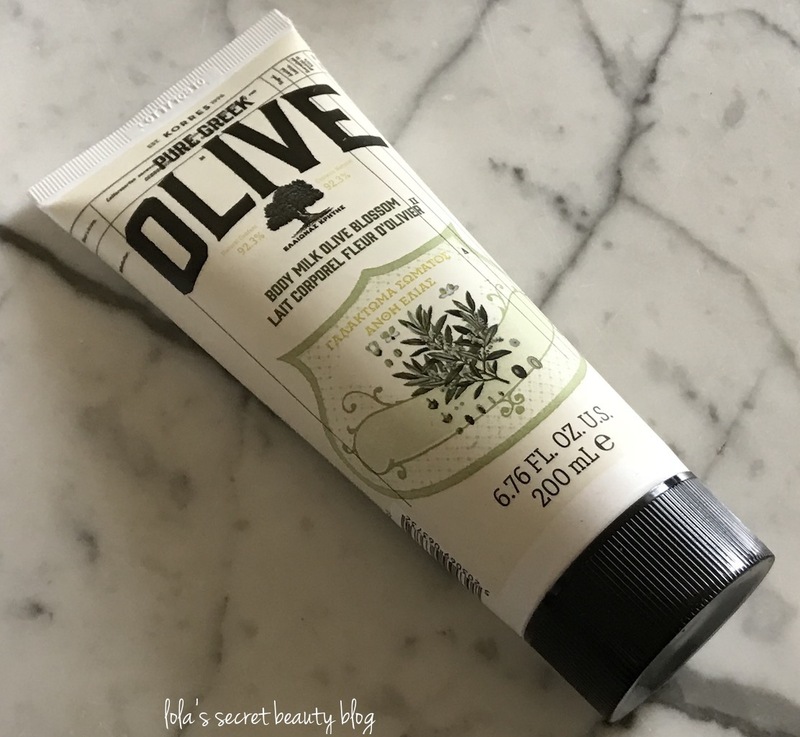 It also is a very refreshing lightweight moisturizing gel that can be used whenever one seeks added hydration and has the desire to cool down the skin during the warm weather. I love to keep a tube in the refrigerator for added cooling during the long and hot Southern California summers! Korres After Sun Greek Yoghurt Cooling Gel is an ultra-cooling cream-gel that provides long-lasting freshness and comfort to the face and body. Ideal for after sun exposure, yogurt hydrates the skin, instantly relieving excessive heat and stinging. Ingredients: Aqua, Glycerin, Glyceryl Polyacrylate, Yogurt, Hydrogenated Polyisobutene,Butylene Glycol, Mannan, Ceratonia Siliqua Gum, Dicaprylyl Carbonate, Pentylene Glycol, Panthenol, Sodium Acrylates Copolymer, Epilobium Angustifolium extract, Foeniculum Vulgare (Fennel) Extract, Laureth-9, Menthyl Lactate, Glycine Soja (Soybean) Oil, Prunus Amygdalus Dulcis (Sweet Almond) Oil, Calendula Officinalis Flower Extract, Helianthus Annuus (Sunflower) Seed Oil, Hydrogenated Jojoba Esters, Parfum, Amyl Cinnamal, Benzyl Alcohol, Benzyl Salicylate, Citronellol, Coumarin, Hexyl Cinnamal, Hydroxycitronellol, Hydroxyisohexyl 3-Cyclohexene Carboxaldehyde, Isoeugenol, Linalool, Phenoxyethanol, Phospholipids, Polyglyceryl-10 Stearate, Potassium Sorbate, Tocopherol. This product is dermatologist tested and free of Mineral Oil, Silicone, Ethanolamime,Propylene Glycol, Parabens, Sulfates and Phthalates. The gel is enriched with active plant extracts. KORRES Pure Greek Olive Blossom Body Milk ($14.26-$18.15 for 6.76 oz. from Beauty Expert): This lightweight and very fast absorbing moisturizer nourishes and hydrates the skin– leaving it soft, smooth, hydrated and luminous. It had a light and pleasant aroma that sits close to the skin, but that does fade after a few minutes. I like to use it right out of the shower when my skin is warm and slightly damp, and I immediately note that my skin feels more moisturized. I also like to mix it with the KORRES After Sun Greek Yoghurt Cooling Gel for added hydration. Korres Pure Greek Olive Blossom Body Milk is a lightweight, fast absorbing formular that leaves skin feeling nourished and silky-soft. Enriched with extra virgin Olive Oil, a natural source of antioxidants and toning Olive leaf extract. 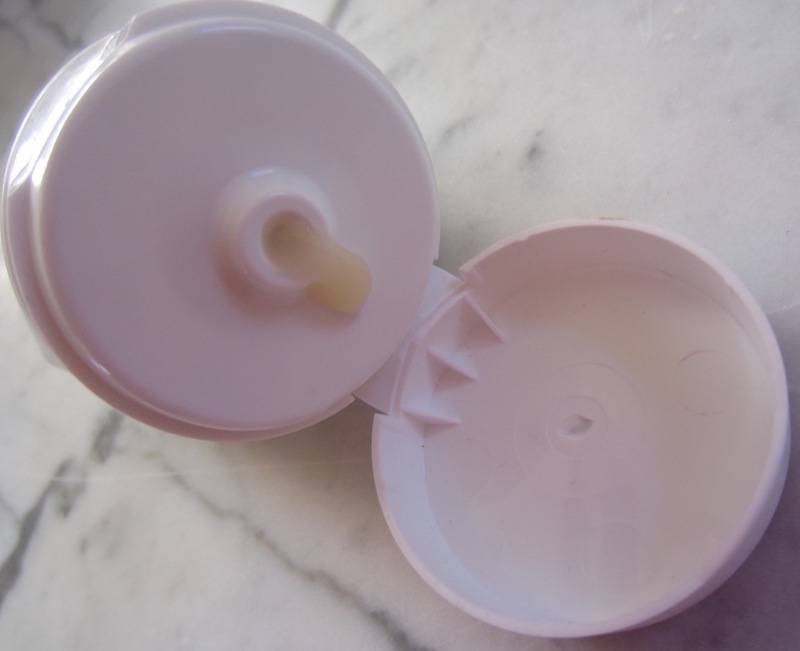 Ingredients: Aqua/Water/Eau, Caprylic/Capric Triglyceride, Glycerin,Prunus Amygdalus Dulcis (Sweet Almond) Oil, Hydrogenated Polydecene, Glyceryl Stearate Citrate, Ammonium Acryloyldimethyltaurate/Vp Copolymer,Butyrospermum Parkii (Shea) Butter, Decyl Cocoate, Parfum/Fragrance, Aloe Barbadensis Leaf Juice, Alpha-Isomethyl Ionone, Althaea Officinalis Rootextract, Caprylyl Glycol, Citral, Citronellol, Coumarin, Distarch Phosphate, Geraniol, Glycine Soja (Soybean) Oil,Hexyl Cinnamal, Lactic Acid, Limonene, Linalool,Magnesium Pca, Manganese Pca, Methyl 2-Octynoate, Oleaeuropaea (Olive) Fruit Oil, Olea Europaea (Olive) Leaf extract, Panthenol, Phenoxyethanol, Potassium Sorbate,Rosmarinus Officinalis (Rosemary) Leaf Extract, Sodiumbenzoate, Sodium Gluceptate, Sodium Pca, Zinc Pca. Overall Assessment: I will get its and lots of use out of these 4 KORRES gems over the summer. 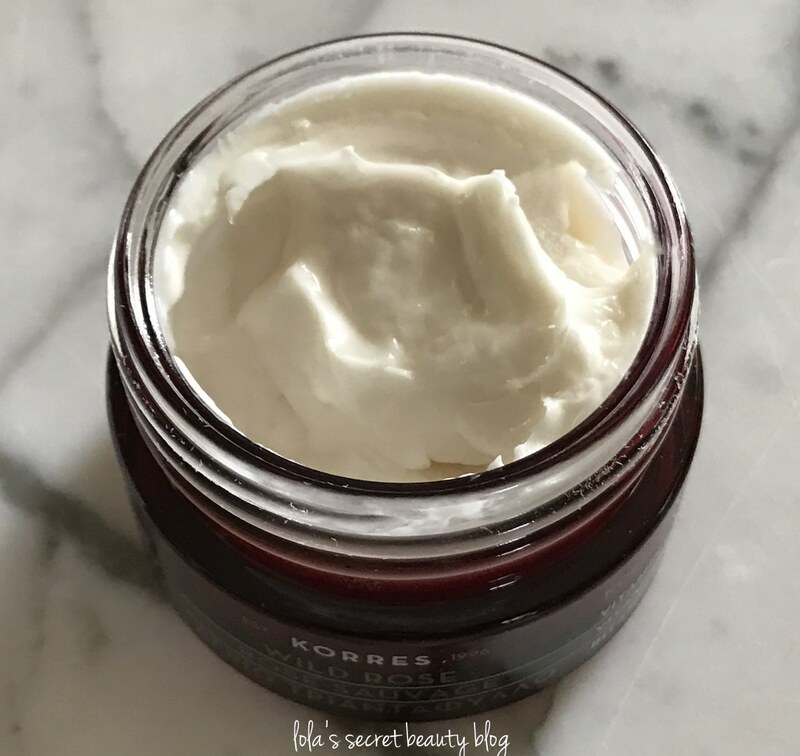 Do you have any favorites from KORRES? Copyright © 2018 www.lolassecretbeautyblog.com All Rights Reserved. I think that you would really love this mask, Allison! It is so soothing and delectable! The Wild Rose Facial in a Jar is now on my wish list! I think that you will really love it, Courtney! It does a remarkable job treating and hydrating the skin while you sleep! These all sound so nice. I'm a texture person and each of these seems wonderful. I like the idea of the greek yoghurt products, or maybe I'm channeling my love for Greek yogurt. LOL! LOL! The textures are wonderful and the products are both effective and a pleasure to use! I have the Korres Sleeping Facial Night but I haven't tried it yet. I'm opening that sucker and trying it tonight! I am so glad that you have it, Cindy! I can't wait to hear what you think about it! I have trouble with Korres fragrance even though I know it's not artificial. Their products are excellent but they don't always work for my nose. Natural fragrances can be just as problematic for people with sensitive noses, as you know all too well, Marcia! The Sleeping Facial sounds AMAZING! I need to get that to add into my nightly skincare routine. It is, Cassie! I really love their products a lot, and the Sleeping Mask is well-worth trying! That night product sounds really nice. It really is a nice treat for the skin!